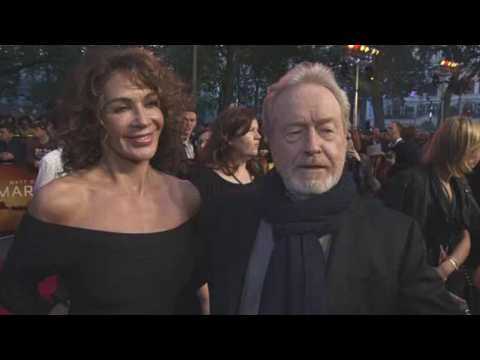 Ridley Scott Credits Star Trek For Sci-Fi Resurgence? Ridley Scott credits Star Trek for expanding the science fiction genre in film, thus allowing him to return to the Alien and Blade Runner franchises. Aliens Ate My Homework is now available on Earth, through Netflix or DVD. The film is based on a kids book from 1973 by Bruce Coville, and features Star Trek's William Shatner! Appropriately, he voices the small ship’s pilot. But what made him do the gig? Gar and Judy Reese-Stevens wrote it... They’ve become dear friends of mine... They asked me to play this part, and we recorded it in a studio right near my office. William Shatner Shatner improvised some puns for the film as well. Plans for a sequel to Ridley Scott's sci-fi horror movie 'Alien: Covenant' have been cancelled by Fox. Prospects for the movie have been shaky since 'Covenant' took in just $74 million in domestic box office grosses. Meanwhile its predecessor 'Prometheus' was able to accumulate $126 million in the United States. A source says of the cancellation, "The sequel to Covenant was originally due to start preproduction this month in Sydney. At the red carpet premiere for "Alien Covenant" Michael Fassbender stops to talk about why everyone loves space movies and why this movie is a new twist in the Sci-Fi genre. Listen in. Ripley Died In Original 'Alien' Ending? The franchise might have never happened if Ridley Scott had shot his original ending to the 1979 sci-fi/horror classic 'Alien'.